HA NOI (VNS) — Ly Hoang Nam had no difficulty entering the quarter-finals of the ITF Asian Closed Junior Championships in India. 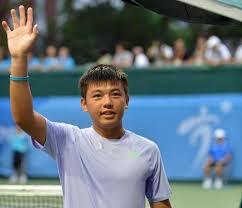 The No 1 seed beat Rio Noguchi of Japan 6-2, 6-1 yesterday in the second round of the boys' singles event. The Vietnamese star will next play No 5 seed Ito Yuya of Japan, who defeated his countryman Daisuke Sumizawa 6-1, 6-4 in a later match. In the boys' doubles, Nam and Alberto Lim of the Philippines won 6-3, 6-2 over Japanese duo Rio Noguchi and Daisuke Sumizawa.